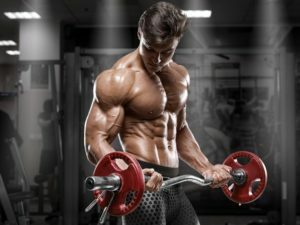 There are plenty of intra workout supplements out there today, but there are few that can rank themselves up among the best intra workout supplements. Hi5 by Magnum Nutraceuticals is one intra workout BCAA that can do that. Hi5 isn’t just a BCAA, its more. H5 by Magnum contains a 5 stage muscle building matrix that has been formulated to help you perform, lean, build, cope, and recover better than you normally would, and often times better than you would taking alternative intra workout supplements. We took Magnum’s Hi5 for 24 days as recommended, and this was a great BCAA for the intra workout window. Below is our full Magnum Hi5 review as well as an overview of what’s inside this intra workout BCAA. 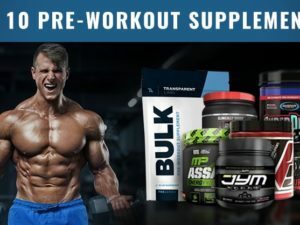 While reviewing Hi5 by Magnum we tested out taking Hi5 30 minutes before working out on days without a pre workout, and with our intra workout water on days we did take pre workout. For both, there was good results. After both types of days, recovery and reduced soreness was notable. Most likely the biggest thing a person will notice while taking Hi5 is that their recovery time is boosted. This in turn, also benefits lean muscle gains and ultimately a more aesthetic physique. When taking Hi5 30 minutes before exercise, an endurance boost was noticeable while working out. This is most likely a combination of the BCAAs being utilized as fuel, valines ability to reduce tryptophan buildup while exercising, as well as the hydration and ‘mitoburn’ blend within Hi5. The same endurance benefits were noticed while taking Hi5 during workout. In fact, the endurance boost was most notable when taken during workout as it seemed to have potentiated a wide variety of pre workout supplements. Bottom line, while taking Magnum’s Hi5 BCAA – endurance was clearly boosted as well as the potential for power which is a bit harder to judge. The real benefits to supplementing with Hi5 however is what happens after the weights get put down. While taking Hi5, we experienced steady muscle gains despite not having the most perfect diet. In addition, some fat leaning occurred despite no loss to muscle gains. To put it short, supplementing with Hi5 made up for some bad diet moves during this review period – which suggests some serious benefit to the average lifter and dieter. Each serving of Hi5 BCAA has approximately 11.2 grams of active ingredients. This is welcome, compared to the BCAA masses that only contain a skeleton formula of 5 grams. Within this mix, there are 5 phases of muscle recovery and performance going on. This includes the: Muscle/Strength Factor, Aminocode Complex, Adaptogenic Anti-Fatigue Formula, Mitoburn Blend, and the Muscle Electro/Hydration Factor. Below we have outlined what is in these components and how they can make your workouts more effective. The muscle & strength factor in Hi5 contains 4 grams of BCAA in the 2:1:1 ratio as well as 865 milligrams of HICA. The 2:1:1 BCAA ratio has been found clinically to be the most effective ratio to take while working out. In addition, the leucine metabolite HICA has been found to promote lean muscle growth as well as reduce muscle deterioration. The aminocode complex in Hi5 contains an assortment of nonessential amino acids. These amino acids can be made by the body, but levels may become reduced during exercise. This includes: Glycine, Taurine, Arginine, Glutamine, Lysine, Ornithine, and alanine. Many of these amino acids play critical roles in cellular metabolism and may provide energy in addition to muscular repair. The adaptogenic anti-fatigue formula in Magnum’s Hi5 is the most unique component of this BCAA. In it, you will find citric acid, Rhodiola Rosea, Astragalus, Cordyceps, and beet root. Many of these herbs are natural adaptogens – meaning they reduce stress on the body. Cordyceps, apart from the rest, has been found to significantly improve endurance as well as the body’s uptake of oxygen. The mitoburn blend is less complex in comparison to the other blends, formulas, and factors. It contains L-carnitine, L-theanine, L-tartrate, and L-phenylalanine; all of which play critical roles in metabolism and aid in the burning of fat. Lastly, is the muscle electro/hydration factor which contains an electrolyte mix. This mix includes calcium, potassium, magnesium, sodium, B6, and vitamin C. All of these vitamins and minerals are reduced during extensive exercise which can interfere with hydration and power. 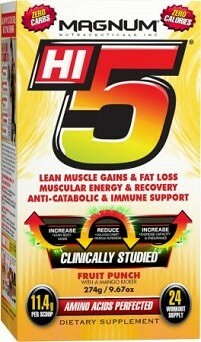 In all, Magnum Hi5 is a very solid intra workout BCAA supplement. It goes beyond the typical BCAA call of duty and delivers recovery plus performance enhancing ingredients across many fronts. Both dieters, athletes, and bodybuilders alike can benefit from this supplement at either the pre or during workout periods. If you are unhappy with your current BCAA supplement, Hi5 is likely the upgrade you’re looking for.